8th of March is International Women’s Day (IWD), but like any good celebration it has started well in advance of the day itself, and will stretch out well beyond, with events celebrating the achievements of women happening throughout March. We got in on the action this week by hosting a Spotlight session here in Archives+, looking at Black female activists from our collection. It’s got me thinking about the nature of specifically black and female activism – so often subsumed under the banner of either black or female – and prompted me to do a little research into the motivations and approaches of Black women’s organisations. We put the spotlight on Kath Locke, Elouise Edwards and Louise Dacacodia, three prominent individuals many Manchester folk will have heard of. But there are many more; our oral history collections are full of highly capable women, working to oppose the inequalities they encountered. Manchester’s IWD theme for this year is ‘Breaking Through’. The Joseph Rowntree report Why do Black Women Organise? (2002) points to the barriers that BME women in particular had have to break through, such as the cost of childcare, inequalities in education, social isolation, lack of skills and lack of culturally appropriate local services. The motivation to act and organise, however, springs from the principles of self-help and empowerment. 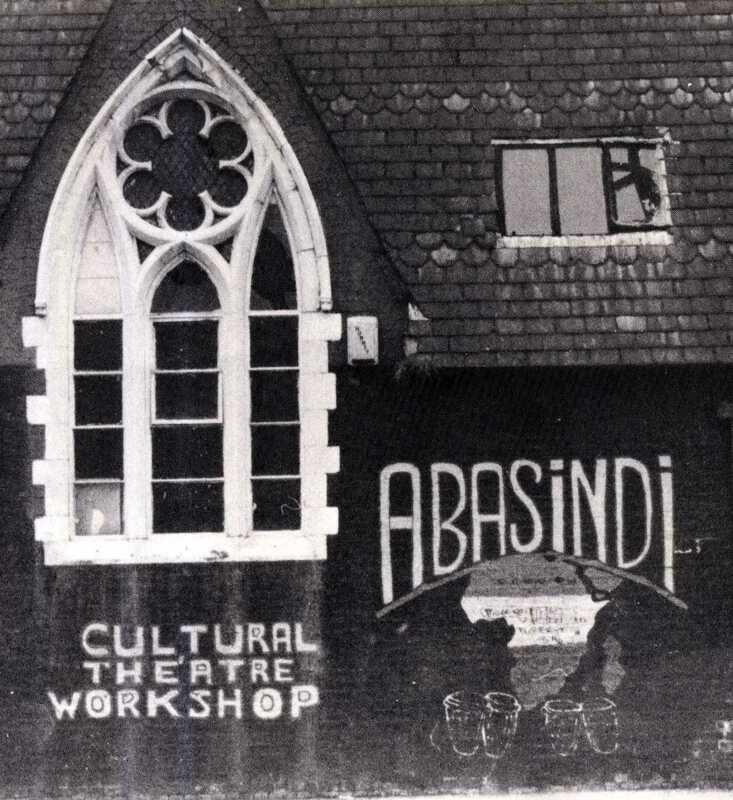 This is certainly reflected in the history of the Abasindi Women’s Co-operative, a Moss Side organisation established in 1980 by Elouise Edwards and Kath Locke, among others. 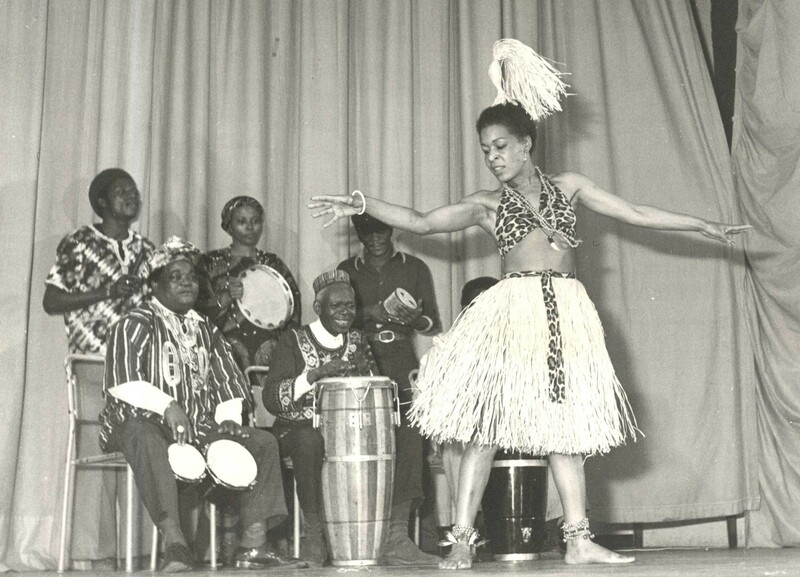 An early aim was to provide a self-help educational programme for young mothers (‘These women had to curtail their own skill development at an early age’), but it developed into a wide-ranging community resource centre, offering social support, cultural activities and supplementary education. continue to respond to the changing patterns of issues and needs within the local community […] this philosophy is married with the belief in the need for a supportive network which does not create dependency. This unshakable belief in the need for autonomy and empowerment is also apparent in how Abasindi arose from the ashes of its predecessor. The earlier Black Women’s Co-operative was a community organisation providing secretarial training to women. But there was conflict; firstly the initiative was state funded, and as Kath Locke put it ‘when you’re funded it’s not what you’re doing is important, it’s the money’. And secondly, in the words of Elouise Edwards, ‘the Centre was managed by a male posse, who attempted to run the Cooperative to their standards’. leadership was mainly dominated by men and they wasn’t hearing us women. We then rejected them as well because there was an element of sexism and their politics was very unclear, they was manipulating us from behind. The Co-operative was also aware that the interests and concerns of Black women, although linked to those of Black men, were not the same and it was agreed that the Co-operative should show itself to be clearly autonomous and self-determining. 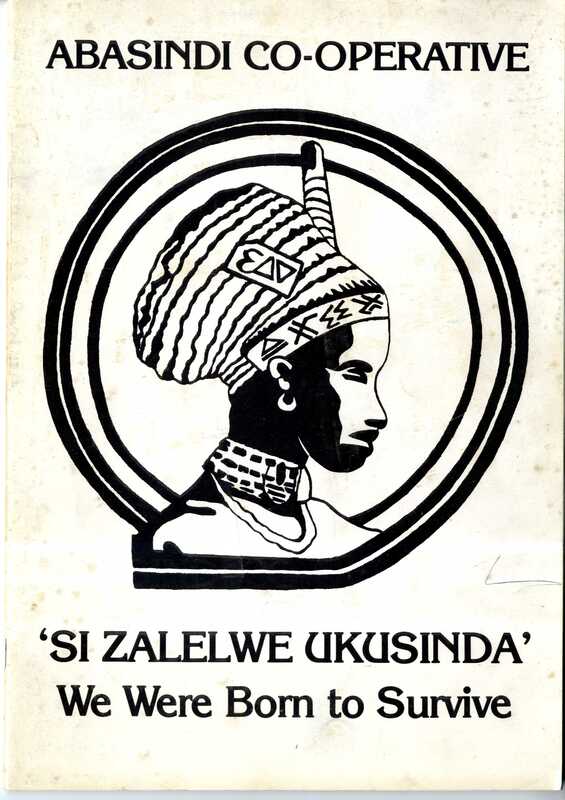 And so the Co-operative was reformed as ‘Abasindi’, a Zulu word meaning ‘survivor’. Importantly it was entirely self-funded, through hair braiding, selling African cloths and crafts and offering clerical services to other organisations. This ensured that the core business of education, social support and cultural enrichment could continue free of charge, and perhaps more importantly, free of any agenda other than their own. 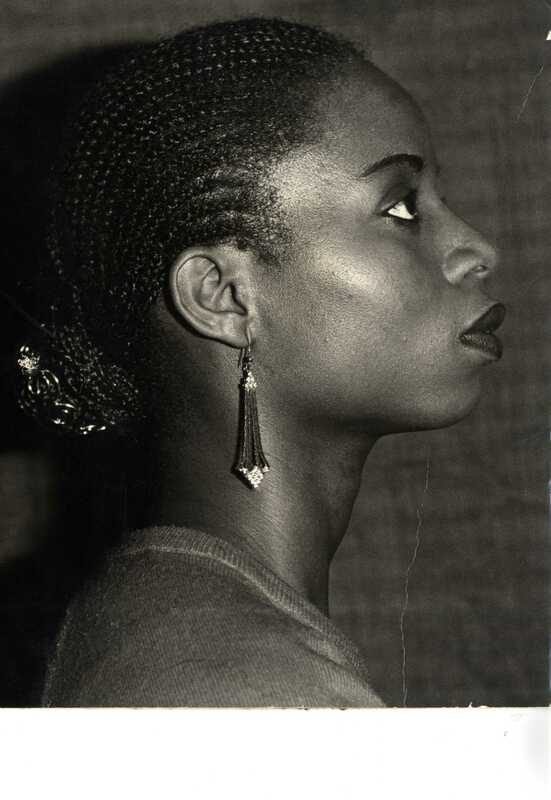 Looking through our photos of the Abasindi African dancers and the hair braiding sessions, a visitor to our Spotlight session commented that the photos brought back the celebratory feeling of the time – women were experiencing real inequalities, but they were also celebrating their culture and having fun. Maybe we put too much emphasis on struggle when we think about how marginalised groups break through – the perhaps more masculine tactics of protest and resistance. 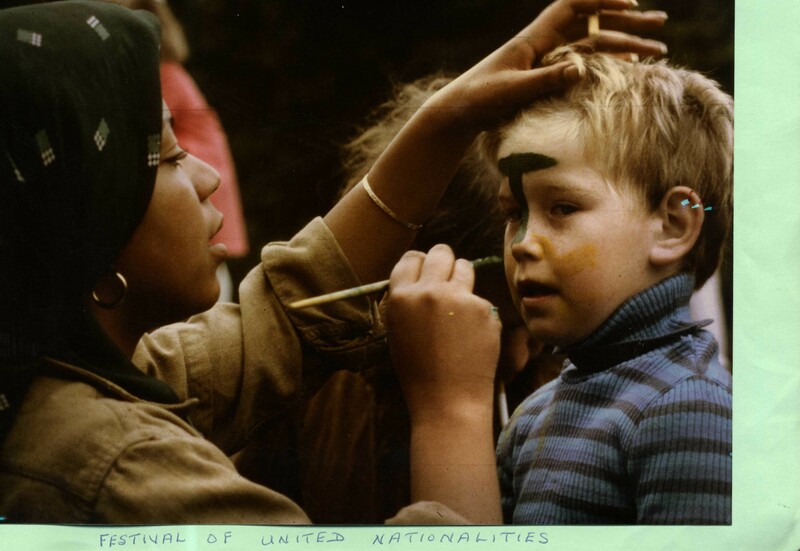 But dancing, sewing and hair braiding can also be deeply political acts. There isn’t a huge amount on the web about Black Manchester women, but a couple of interesting blogs include the Remembering Olive Morris Collective blog, and Black Feminists Manchester’s reflections on Kath Locke. Anybody know of any more? 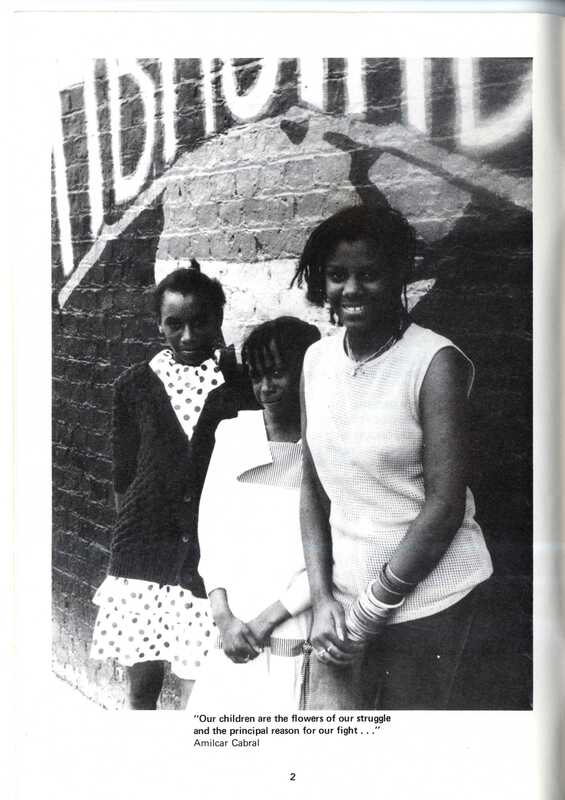 This entry was posted in Great lives, Opening the archive and tagged abasindi, abasindi womens co-operative, activism, Black women, Elouise Edwards, international women's day, Kath Locke, Moss Side, women by aiucentre. Bookmark the permalink.